The product prices shown throughout this website include shipping costs to all 50 US states (Including Hawaii and Alaska). Additional shipping costs to Canada will apply on certain products. At the checkout select Canada under the "shipping to" option and any additional cost will be added. If your location is not listed please contact us for a quote. Shipping time will vary depending on your location and the product(s) ordered. Please see the table below which gives you a guide to shipping time scales. When ordering please take note of the stock level indicator so see if the item is currently in stock. For products ordered that are out of stock, please take note of the expected dispatch time which will be displayed next to the stock level indicator. NOTE: All delivery times shown are based on the assumption that there will be no adverse weather conditions or other external factors affecting your delivery. In extreme circumstances (such as snow, ice, flood, earthquake, freeway closure or human error) it is possible that your delivery could be delayed. For this reason we are unable to compensate for delayed shipping times. We use FedEx for shipping all our larger products. 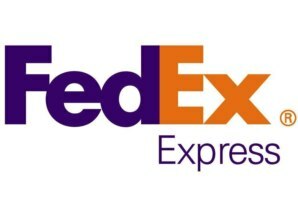 FedEx will provide shipping notifications (by email) to advise that your order has been dispatched and also give you an estimated time of delivery. You can also track your order at any time (a tracking link will be provided when ordering). Our smaller products such as Fittings kits, Spool adapters etc will be sent by standard mail post. These are dispatched by Royal Mail and handed over to USPS for delivery once in the US. No online tracking is available for this service. Due to FedEx's policy we are unable to Ship to APO/FPO addresses. Orders under $800 - You will not pay any tax or duty. As a result of a change in US law (introduced in March 2016) the threshold (De Minims Value) at which duties and taxes are imposed on imports has risen to $800. This means that orders below $800 do not require formal customs procedures, speeding up deliveries into the United States. This applies to one order (up to $800) per customer, per day. All our products are zero rated to the USA, meaning even on orders over $800 you will not be hit with large duty charges. However if the value of your order is over the $800 threshold it will require a formal customs entry and you will be charged a small fee for this. As all our prices include shipping fees (to the US) should you wish to purchase an order over the value of $800 we suggest you place several orders, each under the $800 threshold. Please remember only one ($800 or less) order per calendar day. All of our products (Motorcycle Stands & Lifts) are zero rated to Canada. You will however have to pay local GST/HST/PST if they apply. Please contact your local tax office to find out more. Should you require any more information on the progress of your order or have any questions regarding ordering/shipping please feel free to contact us and we will be happy to assist you.